Mike Iannuccilli - Hereva Consultants Inc.
Mike joined Hereva in 2017 to provide project reporting and controls. His role has expanded to include managing time tracking and invoicing as well as quality controls for all project reporting functions. Mike also provides day-to-day business management and human resource functions. Mike’s attention to detail and follow up helps keep the Hereva office running. Mike earned a Bachelor of Science in Global Supply Chain Management at Clarkson University. During his time at Clarkson he was employed by the University as an Organizational Development Specialist. He was responsible for supporting recruiting committee efforts as well as planning training events for supervisors. He worked directly with the Chief Inclusion Officer to interview candidates, document project status and plan Diversity and Inclusion Summits. Prior to Clarkson, Mike spent seven years as a Carpenter’s Assistant. He became well versed in proactive problem solving and customer service. He was often called upon to mediate customer complaints and address concerns regarding schedule and budget. This experience made joining the Hereva team a natural choice. 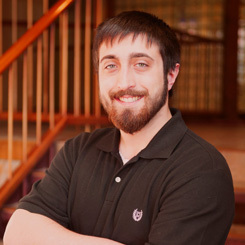 Mike brings expertise in scheduling, budgeting and reporting to Hereva. Through his experience managing sensitive projects he has honed his intuition and ability to recognize confidential material. He has a proven track record of earning the trust of supervisors and clients, which serves him well in his role of managing the behind-the-scenes operations of Hereva. His experience with handling multiple projects at a time is also an asset to Hereva.